I’ve gone through a bunch of tasting and testing products in my blogging life. Many of those were made from industrial and humanless assembly line. Not that I do not trust their product, it’s just an awe-inspiring feeling to meet the face that inspire impression of the product they created. As a consumer, meeting the makers behind the merchandise make me feel more trusty and feeling assured I’m getting the right stuff. I got invited by Jojie Alcantara to a food tasting at Rekado. Call it one of my lucky days; I got to meet her friend, Chef Ralph Shotwell. He used to work as a Chef in an international cargo vessel. During his stint in the ship kitchen, he made it a way to concoct food attune to his co-seamen's Filipino palate. Something to make them feel at home with food despite they’re oceans away from home. And his signature chili-garlic sauce was one of them. After Chef Ralph's contract ended, he stayed on ground and decided to make the most out of his food creation along with his business partners. 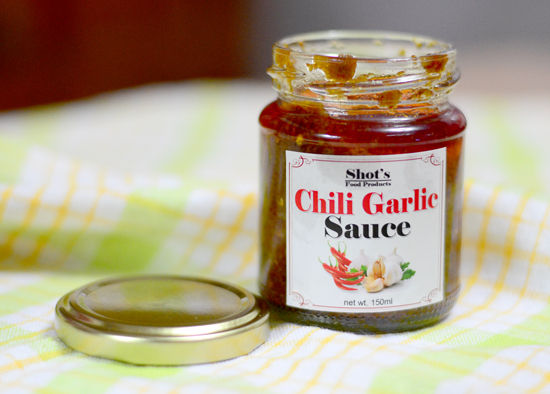 Hence, Shot’s Chili-Garlic Sauce was born. 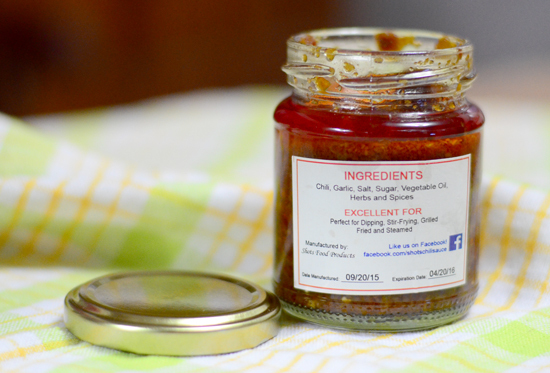 Got an early Christmas present, Chef Ralph gave each one of us a jar of his product to try. Thanks Chef! pairing it with Rekado’s Crispy Pata. Swoon! Chili locked in oil has one of the best tempting aromas in culinary scene. Add garlic to it and it’s a dang win. This jar has it! Taking notes of some personal lessons in my past, I now take chilis in moderation. Thought this jar was super hot, but glad to know it’s just within my tolerable level, the word is mild, non-overpowering. I like the label, it’s clean and clear. As an informed consumer, information like ingredients, how and where this is used for, manufacturing and expiry dates necessitate my decision in buying products. This jar has it – good! It also has the contacts, just in case, you’ll never know – perfect! When I brought it home, I shared it with a bunch of cousins they call themselves ‘lamoneros’ and was helpless seeing the jar slowly receding its content. 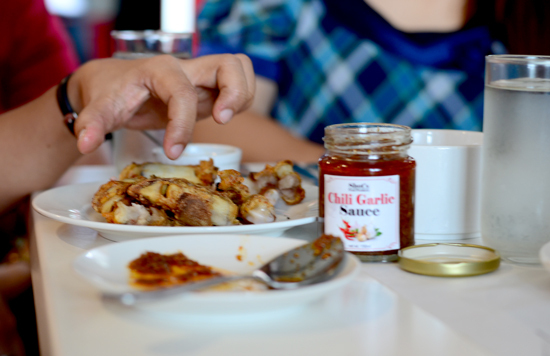 But it’s a joy to see them moaning and ahhh-ing with fried talong and zucchini dipped in Shot’s Chili Garlic Sauce. Sometimes, oh, actually often, we don’t need a high-priced designer gourmet meal to be happy, at some point, we just need a spoonful of Shot’s and we’re more than so good to be. 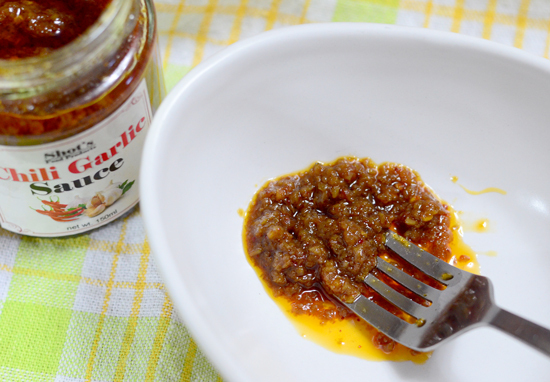 The Luga household really enjoyed your Chili-Garlic sauce, Chef Ralph. Perfect dip to anything, every meal. We’ll have more of this, the ‘lamoneros’ want the hotter version. Let's support a fellow Davaoeno, buy a jar today!